Looping State of Mind, eh? Can I be too quick to point out that the level of obligatory resignation and willful self-categorization on display here doesn’t exactly tickle the ol’ imagination glands? Has there possibly been a more blithely revealing album title since Kate Bush’s as-yet-unreleased-though-totally-seminal 1995 rarities collection You Know, Piano and High-Pitched Singing and Stuff? Did I just imagine that in one of my “Me n’ Kate” dreams? Yes I did. But you get the idea. 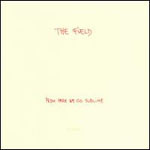 Well, the thing is that I can, and there has, and I did, and all that—and I still feel like I can’t fault the Field’s third record for putting on an unassuming mask. I realize after some time with Looping State of Mind that I’m judging by conveniently nonspecific standards something that is successful for the fact that it has receded into its own specifically limited space. We’re dealing with a category of music that still has yet to be as defined by cliché as any of its cultural peers, and with that it still has the freedom of novelty to allow itself to be unapologetically self-obsessed. Looping State of Mind, both as a part of the Field’s catalogue and as a response to his tepidly received previous effort Yesterday & Today (2009), shows what often happens when an artist stops worrying about evolving: they evolve. And that’s why I can’t help but propose that the almost idiotically simplistic impressions of the record’s title on closer examination really belie a confident return to comfort for Axel Willner. 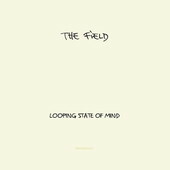 Looping State of Mind is both a humble nod to the genesis of his sound and an acknowledgment of the simplest aspects of what makes his work compelling, as Willner’s professed psychological condition in relation to his cultural peers actually represents one of the most fresh and novel methods of songcraft at work in music today, and it would be appropriate to mention here that it’s something that he happens to be really damn good at, too. Looping State of Mind confidently blurs the bold lines of the fractal grid paper beauty of From Here We Go Sublime (2007) and between them repurposes the softened, expansive synth melodies that dominated Yesterday & Today as something more subtly postured behind the flow of Willner’s signature sparkling 4/4. As a caveat, it’s necessary to relate that I thoroughly enjoyed Yesterday & Today, a record that seemed to disappoint many of the folks that saw From Here We Go Sublime as a second coming, but it may have been due to the fact that I never really saw Willner as the pioneer he was heralded as. Simply put: his musical interests landed him in an ideal position to refashion a marginalized form of techno he certainly had plenty of time to study through the 90s and perfect in the mid-aughts techno revival period—and let’s face it, when it comes to repurposing any sound for a new generation of not-quite-sures tear-assing through vinyl dollar bins and their parents’ record collections, Kate Bush and Lionel Ritchie just can’t hurt your popularity. An appreciation for pop songcraft coupled with a scholarly engagement with ambient techno pretty much made Willner the perfect candidate to pick up the smoldering torch, and From Here We Go Sublime was a glorious Lilliputian ritual to be sure. In fact, Looping State of Mind makes a point of restraining the dense, often meandering atmospherics that found Yesterday & Today staring blankly at the sky instead of through the microscope loupe that helped Willner to discover the lovely geometric microcosms of his first record. His attempts to seemingly legitimize the detached astronomy of Yesterday & Today with flourishes of live instrumentation and collaboration weren’t entirely unsuccessful, but for some reason seemed to reveal a particular lack of confidence in how to reinvent the rhythmic wheel after being launched into the realm of critical expectation. But with Looping State of Mind now in my hands, I can only say that it feels like a necessary step for Willner, realizing that his ideal atmosphere is an abstract and not a physical expanse, is an insular cosmos that needs to be inflated from nothingness rather than a full-scale universe full of other distracting uncertainties. He’s found not only a familiarity but new inspiration in removing the breathing apparatus and returning from whence he came. 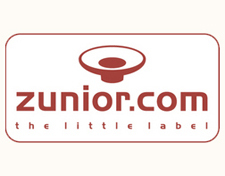 As evidence: “It’s Up There,” the bass-centric, funked-out joyride “Sequenced,” Willner’s collaboration with Battles drummer John Stanier (a meeting of the minds that absolutely warms the heart if not so much the neck muscles) seemed to be trying too hard to be—the Yesterday & Today track attempting with some misdirected goodwill to highlight genre-spanning friendliness and ease-of-compatibility in the Field’s sound. Not to deride any possibility of fruitful partnership, as Willner still makes fantastic use of willingly second-chair contributors, but I think it can be said now with some finality that he is obviously better suited to helm this vehicle all by his lovely lonesome. Just one good listen to the absolutely mesmerizing title track—which somehow doubles in barometric pressure and melodic complexity every two minutes without sacrificing perfect highwire balance—or the loping, static-drenched ghost pop of “Burned Out” proves with virtuosic ease that Willner has no issues in settling back into the something-from-nothing rhythmic cycles that endear his work while still finding time to expand his melodic range. It’s all a matter of priorities, and this time everything is lined up perfectly. The palette of Looping State of Mind is a grand revelation in the ability of a masterfully contextualized loop to create a really unique sense of swing, each song finding grooves emerging in layers, in blissful rhythmic epiphanies, one on top of the other. Loops often start off as distracting stumble-rhythms; but these tense, difficult repetitions beg for release from asymmetry, subtly corralled into dazzling choreography by scaffolds of cymbals and waves of distorted melody. It’s like watching a militant dog-trainer teach a hyperactive spaniel how to take high tea, and that transforming of the seemingly unkempt is what makes the world inside Looping State of Mind ’s crystal ball something at once disciplined and uniquely engaging. Willner’s medium is one that often thrives on the tension of predictability—not so much a concern of what’s going to happen, but when and how much—and Looping State of Mind both conquers and surpasses the only-so-many-pieces-in-the-box standards of most traditional dance forms by appeasing those crescendo/break/denouement expectations in name only. The difficult particularities of his loops (see closer “Sweet Slow Baby,” the ultimate realization of Willner’s wonk-funk) and the demands that their wonkiness place on the rhythms of his tunes, however, reinvigorate the sense of evolution, making progress a clear directive but ensuring that every new layer only pulls apart and redefines any sense of predictability. In short, it’s warm, friendly, and assured, but never fails for a moment to inject rhythmic surprises and exciting uncertainty into the building process. And instead of coming off like an exercise in sighing self-realization, Looping State of Mind as a title is a more like Willner’s More Songs About Buildings and Food (mostly in name if not only a little in execution): a romantically novel examination of the banal and a spirited engagement with the basic aspects of one’s character. The result is anything but simple.